ATS SNC DI ARROBBIO MARCO & C.
SIDERCAMP SAS DI GRIGNANI M. & C.
ABECAMPER DI ALBERTINI G. & C. S.A.S. S.T.S. DI LAZZARIN & C. S.N.C. VIBO GRU SAS DI RACO E C.
LA CICOGNA SERVIZI SOC. COOP. R.L. COOPERATIVA FRIULANA CARICATORI E SCARICATORI SOC. COOP. R.L. C.T.V. COOPERATIVA TRASPORTATORI VALNESTORE SOC. COOP. R .L. DAMA TOUR SAS DI DAMENTI BRUNO & C.
ANESE GINO SAS DI ANESE MILCO & C.
IL MOTONOLEGGIO SOC. COOP. R.L. AUTONOLEGGIO PUBLIRENT - MR S.R.L. PAVAN TRASPORTI SAS DI PAVAN EDIO & C.
COOPERATIVA DALMAZIA TRASLOCHI SOC. COOP. R.L. F.G.D. DI TRICCA DINO & C.
COOP. IL COLLE SOC. COOP. R.L. SENAUTO 2 SAS DI CAMILLO ALFEO & C.
COOPERATIVA FATTORINI SOC. COOP. R.L. 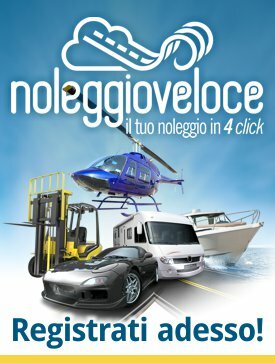 T. I. L. - TRASPORTI INTEGRATI E LOGISTICA S.R.L. COOPERATIVA UNIGRAMP SOC. COOP. R.L. COOPERATIVA DI LAVORO FRA PORTABAGAGLI DELLA STAZIONE DI CHIUSI CHIANCIANO T.